Proper coffee on offfer, with wine and water in fridge. Great location. Very nice hosts and a welcome pack with a bottle of wine, ouzzo, coffee, tea, cheese etc. 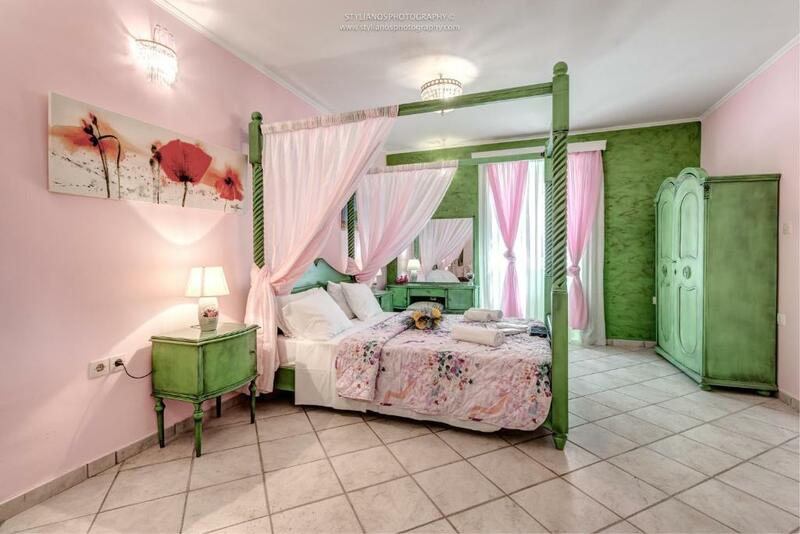 Charming fairy tale interiors, Besides a modern and very clean bathroom with a comfortable shower, there is a jacuzzi bathtub in the bedroom - very enjoyable after a long day in the city. Central but quiet location. Thank you Stelios for your hospitality and help! Very good location for people who wants to explore Corfu town. Everything few minutes away by walk. If you want to explore the Corfu beaches take the blue or green buses at San Rocco square that is 2 minutes by walk from the Kalixenia suite. We felt like home and enjoyed our stay at Corfu. Comfortable living room. Lovely décor. Excellently furnished. Supplied with coffee, tea, drinks. Daily cleaning. Clean sheets and towels each day! Attentive (immediate response to each inquiry). Pleasant, helpful staff. 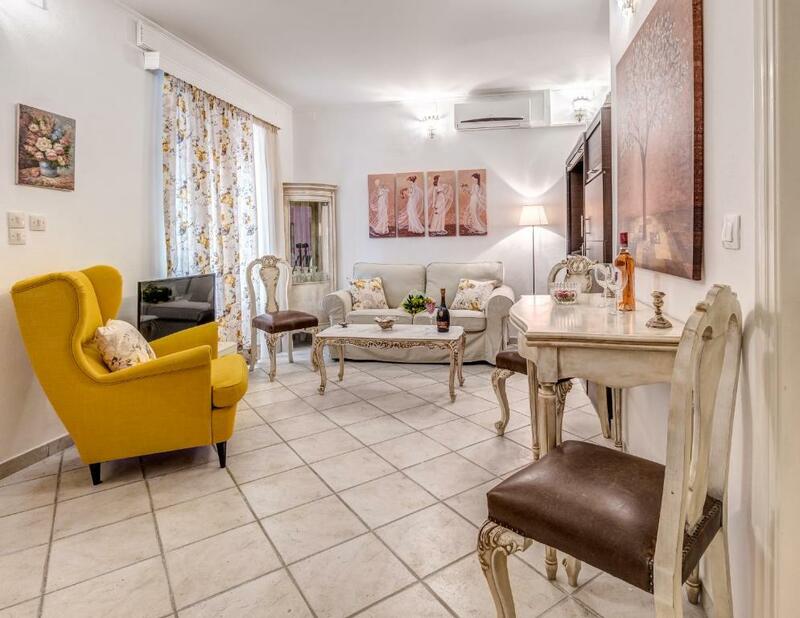 Good location (in a quiet residential street near the historical town centre and also near the bustling newer San Rocco Square: an enjoyable combination of the old, the newer, and the residential). Parking on site -- but there is a taxi rank just two blocks away at San Rocco Square, making a car unnecessary except perhaps for excursions out of town. Excellent. Great location to walk everywhere to shops, restaurants, Old Town etc. 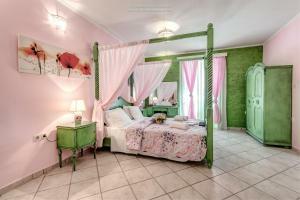 A cute colourful apartment that was perfect for our 2 day stay. A welcome surprise to receive a basket of snacks and bottle of wine and also plenty of provisions of tea and real coffee too which another lovely bonus. Dimitris was very helpful with anything we needed to know many thanks highly recommend! 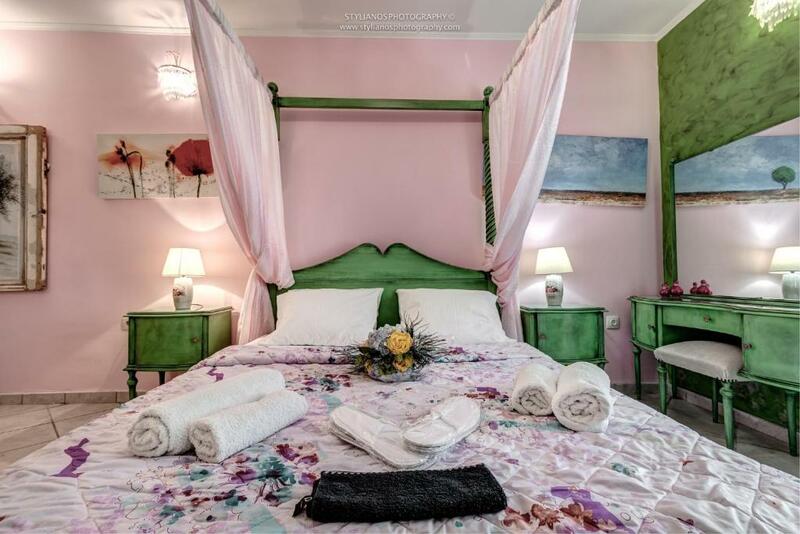 Quiet and perfect location to visit Kerkyra: the city centre is within a few minutes by foot. The flat is really well designed and we loved the forniture. It was equipped with everything we needed. We also really appreciated the free private parking and the useful tips about where to eat and what to see. So kind! 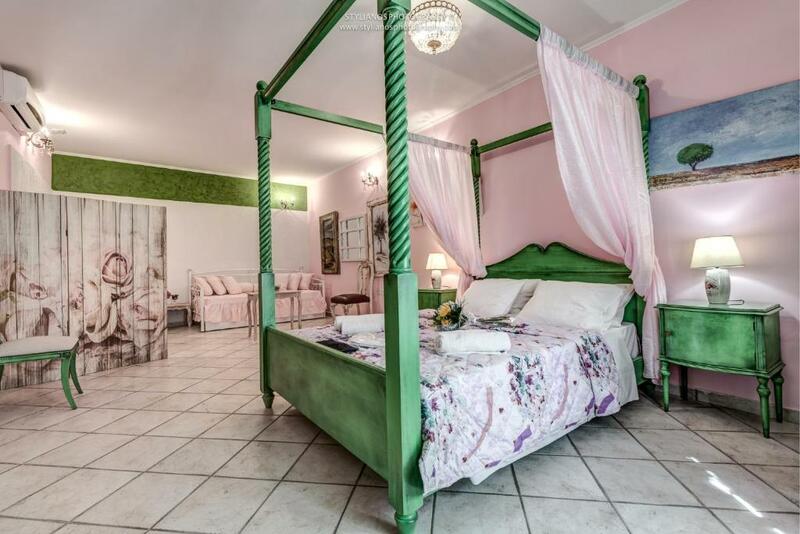 Great location, clean, comfortable, nice decorated rooms, polite hosts. We stayed 4 days in the apartment for vacation. The apartment is in a strategic place, 10 minutes walking from the sea and 10 minutes from the old town center. Everything is new and the rooms were very clean. Every day there was the cleaning lady and the change of the towels. The landlord is very nice and she gave us the possibility of a late check out without additional charges. Recommend! 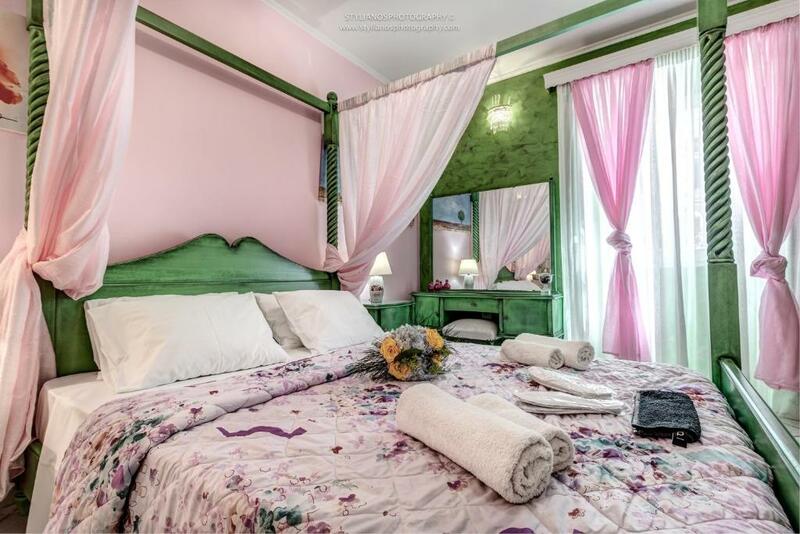 Brilliant location close to Corfu Town, friendly staff, large apartment will all facilities plus was fully serviced :) will definitely stay there again. 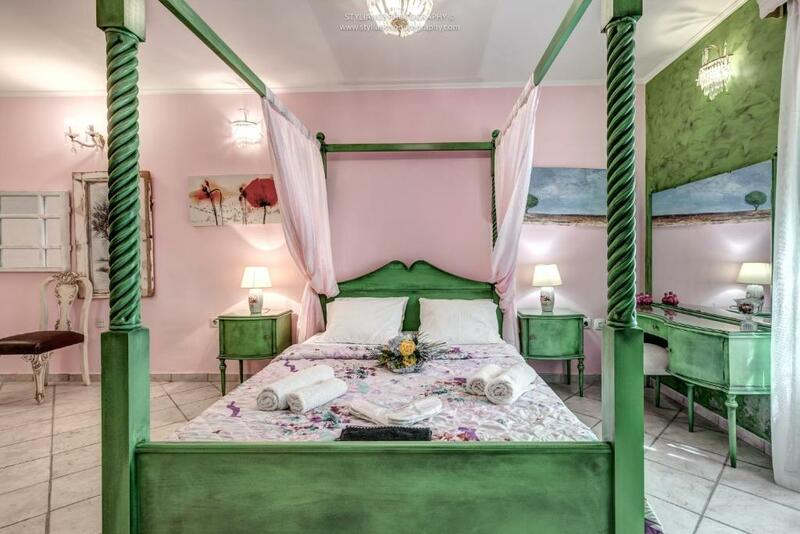 Lock in a great price for Kalixenia Suite – rated 9 by recent guests! Kalixenia Suite enjoys a location in Corfu, just a 4-minute walk from Museum of Ceramic Art and 0.6 miles from Serbian Museum. Guests staying at this apartment can use the free WiFi and a fully equipped kitchenette. This 1-bedroom apartment will provide you with a satellite flat-screen TV, air conditioning and a living room. 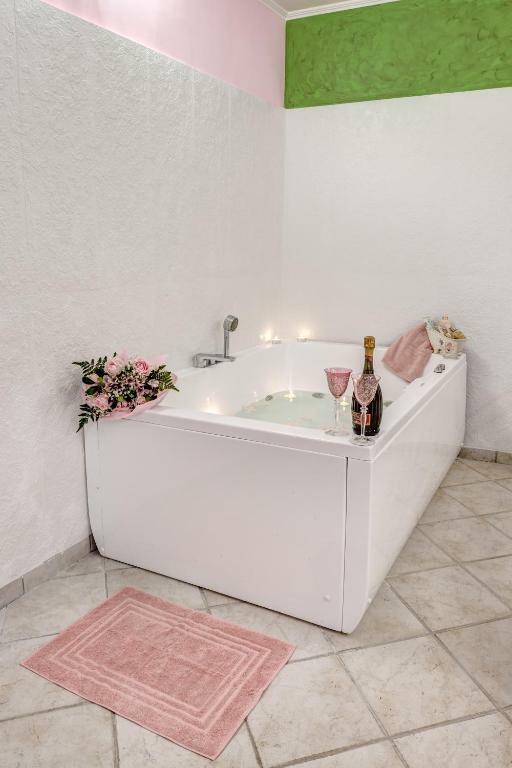 The property also includes a bathroom with a hot tub and a washing machine. Ionio University is a 13-minute walk from Kalixenia Suite. Ioannis Kapodistrias Airport is 1.1 miles away. When would you like to stay at Kalixenia Suite? House Rules Kalixenia Suite takes special requests – add in the next step! Kalixenia Suite accepts these cards and reserves the right to temporarily hold an amount prior to arrival. Please inform Kalixenia Suite of your expected arrival time in advance. You can use the Special Requests box when booking, or contact the property directly using the contact details in your confirmation. Booking.com description suggested the accommodation for 4 was as 1 x double bed and 1 x sofa bed, so presumed sofa bed was in living room. However all beds were in 1 room which was not ideal. Otherwise fine. 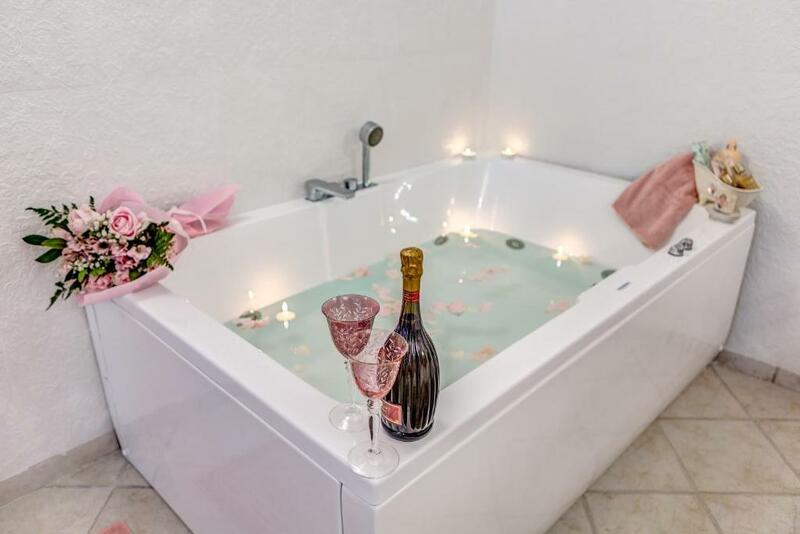 The Jacuzzi should be separated by a partition. The beds are a bit short for someone of 187 cm.